[John Norman, compiler & engraver?] 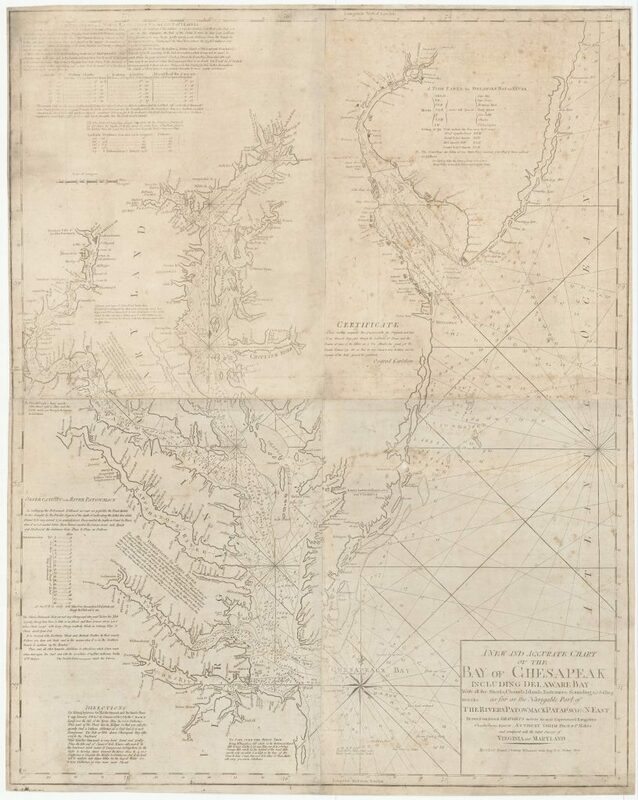 / Printed & Sold by W[illiam] Norman, A NEW AND ACCURATE CHART OF THE BAY OF CHESAPEAK INCLUDING DELAWARE BAY …. 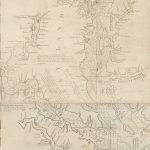 Drawn from several DRAUGHTS made by the most Experienced Navigators Chiefly from those of ANTHONY SMITH PILOT OF ST MARYS… Boston: W[illiam] Norman, [1794/1803 or later]. Engraved and etched chart on four sheets of laid paper joined, printed area 41 ¾”h x 33 ½”w, uncolored. 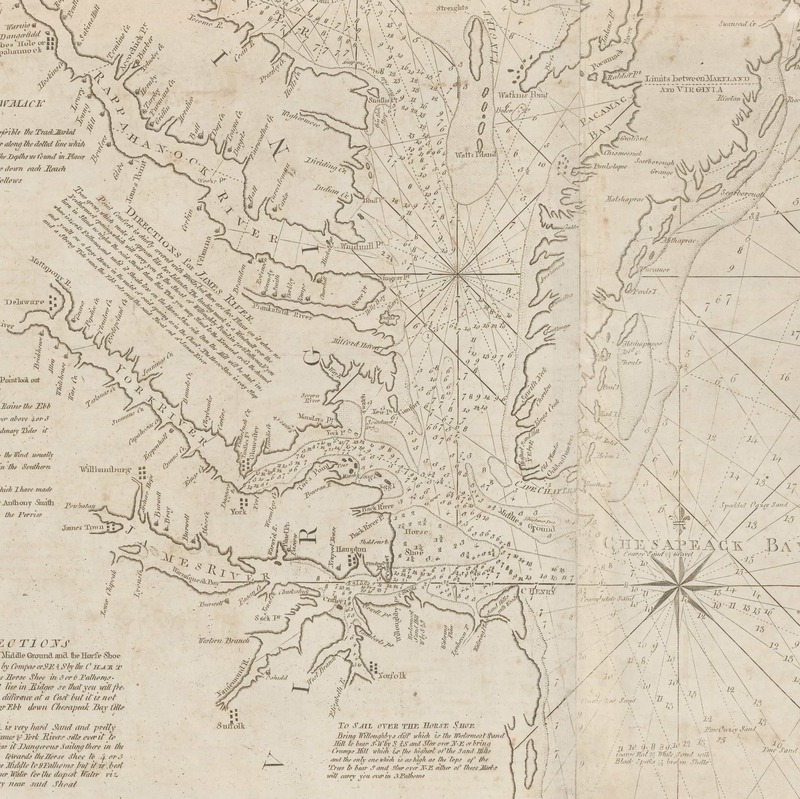 A mammoth, detailed and rare 18th-century American chart of Chesapeake Bay. From John and William Norman’s American Pilot, one of the earliest atlases published in the United States. The chart was compiled from some of the best-available sources, probably by John Norman. 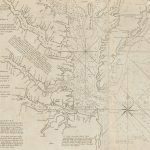 The depiction of the Chesapeake Bay region is based very closely on Anthony Smith’s A New and Accurate Chart of the Bay of Chesapeake, (1776). 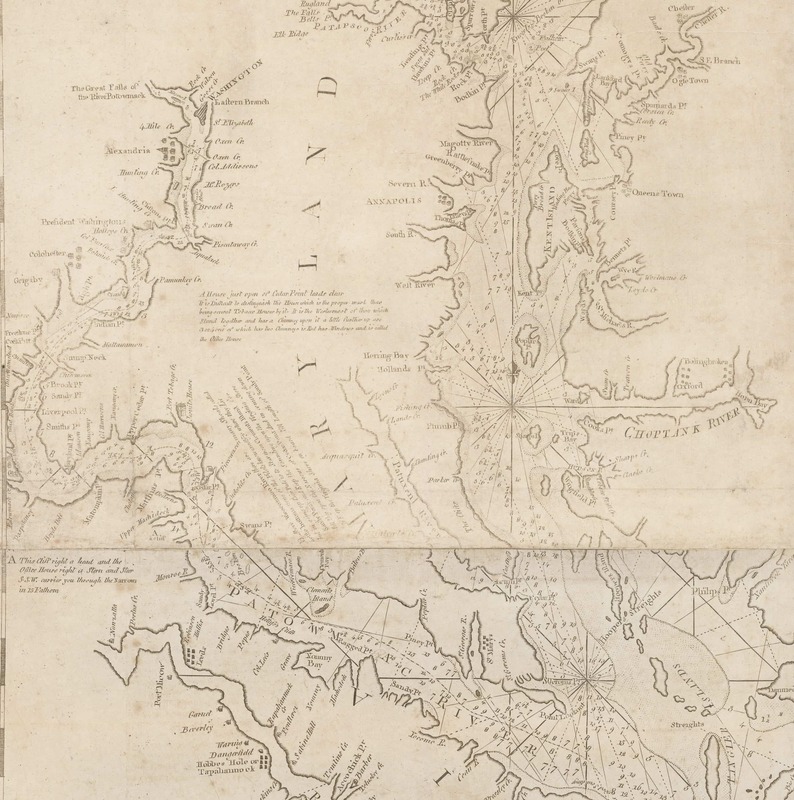 This in turn had been based on Walter Hoxton’s very rare Mapp of the Bay of Chesapeack (1735), with additions from surveys by Smith (a Chesapeake Bay pilot), Fry & Jefferson’s Map of the Most Inhabited Part of Virginia (1775) and perhaps elsewhere. The only changes of substance I have found are along the Potomac River: Norman has added Washington, D.C.; simplified the place name “Belhaven or Alexandria” to “Alexandria;” and changed the label “General Washington’s” to “President Washington’s.” Norman’s treatment of Delaware Bay is derived from that in Joshua Fisher’s 1776 Chart of Delaware Bay and River. I am not however sure where he obtained the many soundings given offshore of Delaware Bay: that area is not shown on the aforementioned sources, and the information does not match that on the Delaware Bay chart in The Atlantic Neptune. 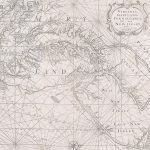 In all, a rare and desirable chart of the mid-Atlantic coast and a substantial rarity of early American mapmaking. Robert M. Ericson, “A Bibliography of The American Pilot” (incorrectly identifying only one state of the chart). Phillips, Maps of America, p. 723. 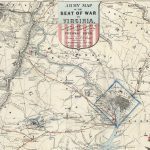 Phillips, Virginia Cartography: A Bibliographical Description, p. 65. 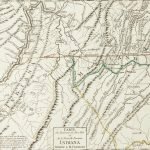 Wheat & Brun, Maps and Charts Published in America before 1800, #310 (state II of II). Minor-moderate foxing and soiling, some minor mends and areas of restoration along edges, lined on verso. Withal a very good example of a chart whose size and purpose would have subjected it to much abuse.